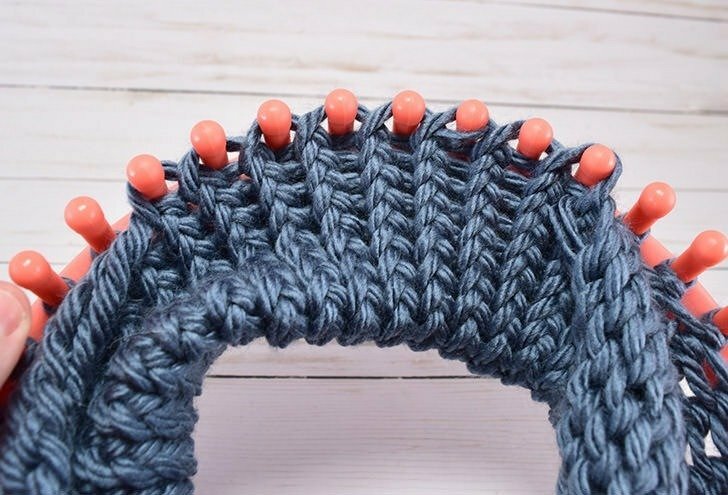 I have been bitten majorly hard with the loom knitting bug. Every once in a while this thing happens where I try a new (or new to me) craft and fall head over heels purchasing absolutely everything I might ever need that has anything to do with my new craft/hobby. I started loom knitting while I was sick and stuck in bed. It was a good way to keep my hands busy, an absolute must for my sanity and, in this case, my health since it kept me busy with making instead of scrubbing baseboards or something equally dumb to do when ill. 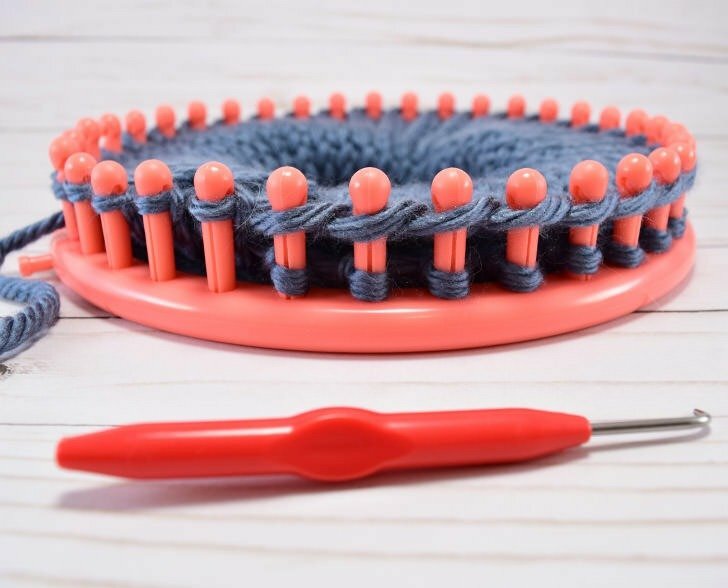 Here are the reasons why I LOVE loom knitting. 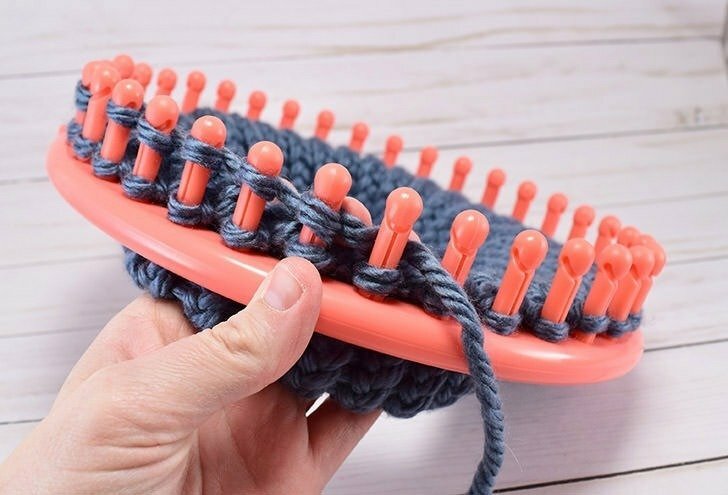 You can buy a knitting loom for CHEAP. 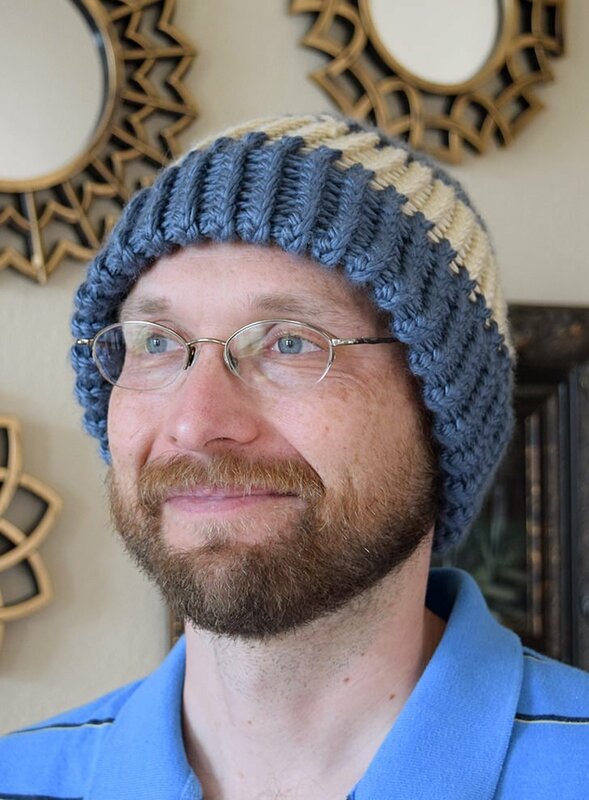 You can make one cap with only 1 skein of Lion Brand Hometown USA yarn making it a CHEAP little project that you can actually give to somebody to use. 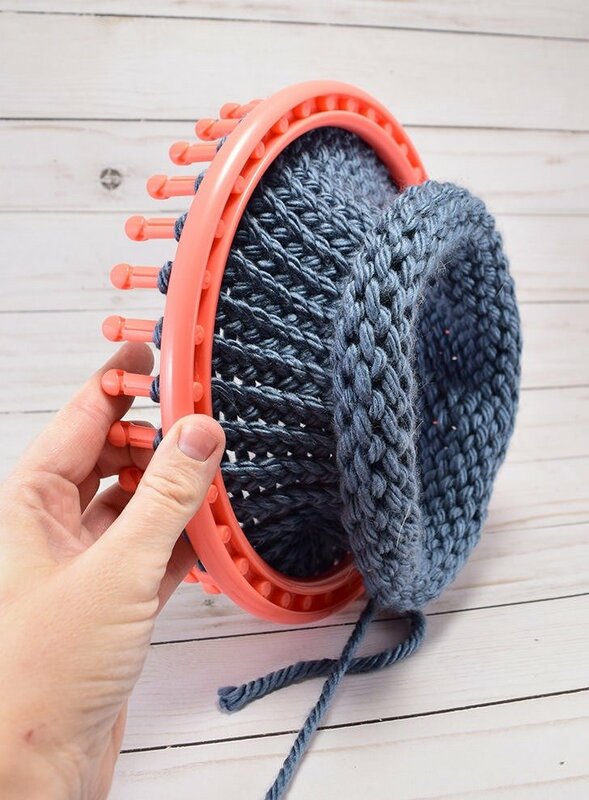 If you’re not sure how to make a loom knit hat to begin with, well, I’ve got you covered. 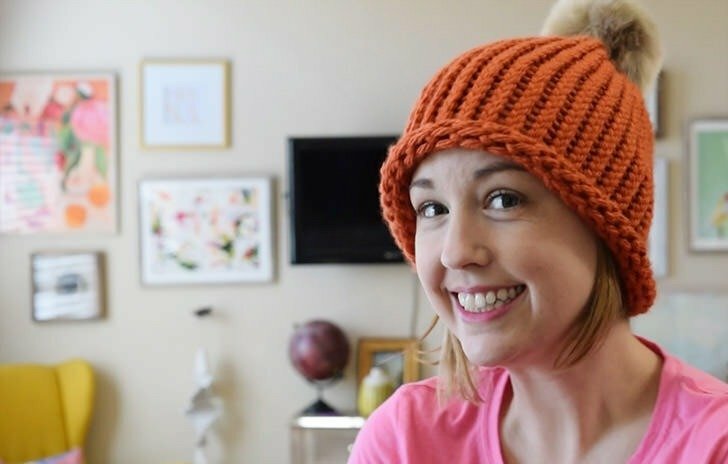 Head on over here to see a full tutorial AND video explaining how to easily make your first knit cap. Still with me? Good! Let’s get after it. 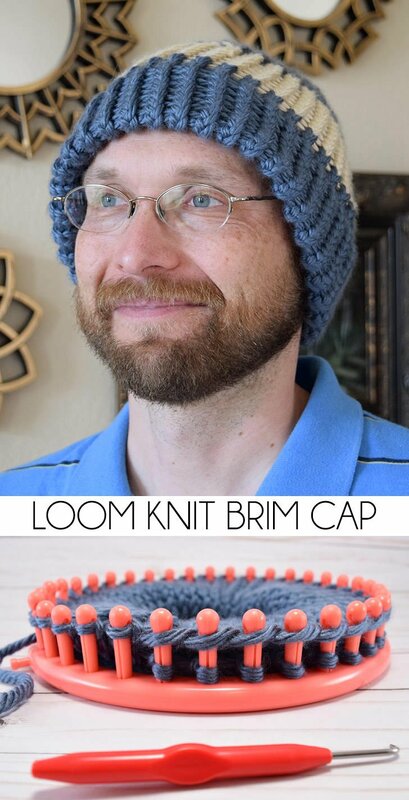 Get after loom knitting your cap as you would anyway. 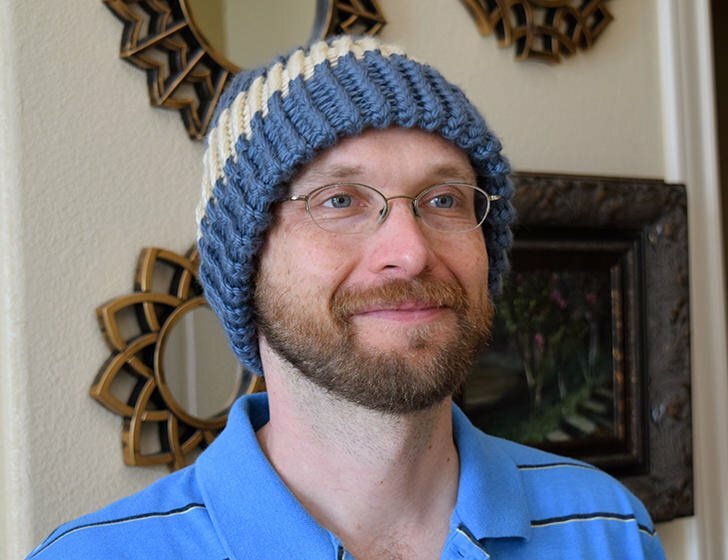 It’s time to switch business up when you have 6-8 inches of length knitted up (more or less depending on the size of your brim, I suppose). Follow down the knit from the loop on the peg to the end of the piece. Grab that loop at the end and pull it over that peg. Working to the left, or right, continue bringing the matching bottom loop up placing it onto the peg. This is what your piece will look like when all of the ends have been matched up. This is your brim where the knit is doubled up making it warmer and visibly thicker when worn. To wrap this brim up bring the bottom loop over the peg, just as you would normally knit. After that just continue on knitting as you please! I really love how making a brim is a thicker piece since it’s doubled over. That added thickness make for an awesome look. 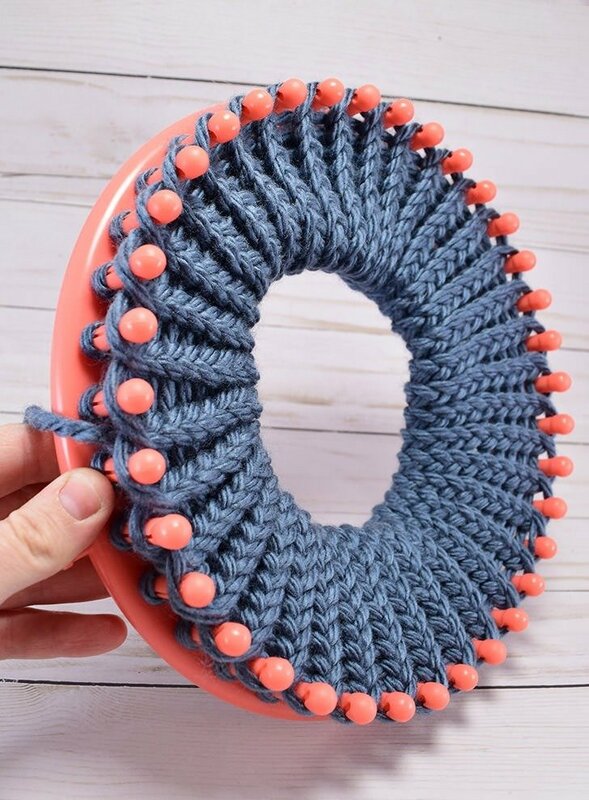 It also eliminates how the bottom of knit caps like to roll up like the one I made below. 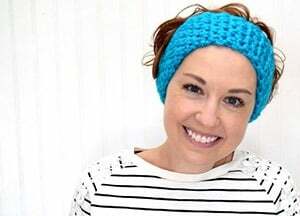 The brim also adds extra warmth with 2 layers instead of just the 1 and it also adds more protection against the wind which is perfect for anyone who suffers frequent earaches. So there you have it. 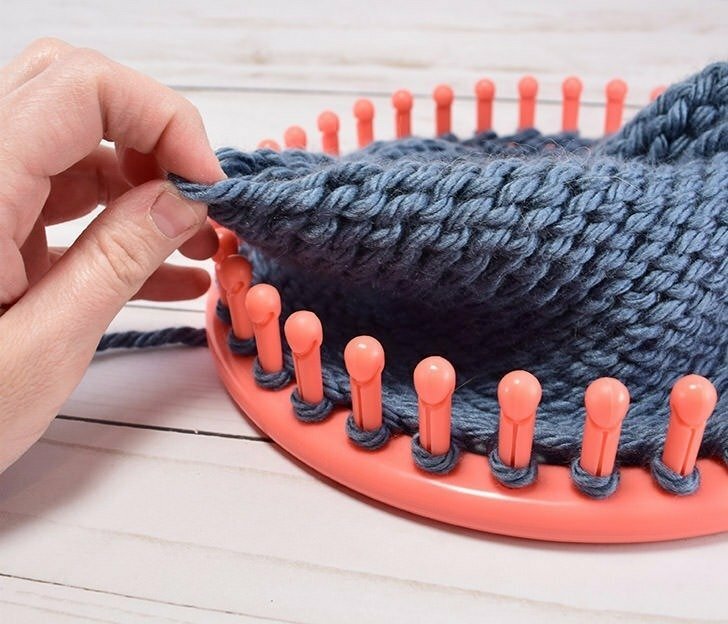 Easy peasy loom knit hats with a brim!